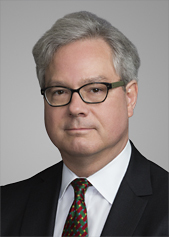 Dean Berry, Chair of the Private Client Department at Cadwalader, Wickersham & Taft LLP in New York, counsels clients on developing and implementing effective and tax-efficient strategies for the management and transfer of private wealth, with a focus on complex U.S. and international trust and estate planning. Dean has lectured on these and related topics in the United States, Canada, the Caribbean, Europe and the Middle East. He frequently works with attorneys, accountants, investment advisers and fiduciaries within and outside the United States to provide coordinated advice to clients having contacts with more than one country.